The IAAM is based in East Lansing Michigan. This site (nei-jia.org) is for member communications, informational and teaching / study purposes and contact information for those interested in pursuing instruction in the arts as listed. 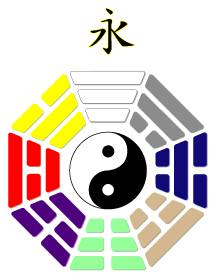 We are also a doorway into the study of martial / healing arts in general and may be able to assist you in finding a program best suited for your needs. Foremost we are a member based site for those participating in the IAAM program and others by invitation. As such, some of the site is locked. If you have been a guest in our class, temporary access can be given if you are interested in browsing the full site prior to beginning study. You may also contact us for more information as to our program, or upcoming workshops. A warrior is not just a person who has learned some moves, is able to kick at 90 miles per hour or who has won the world championships at kick-boxing. A warrior must earn his title. The martial artist is a person who knows things that go far deeper than just self defence, he is someone who walks into a room full of people and an immediate calm falls upon that room, he is a person who can touch a person's head, or arm, or hand and cause an inner stillness and peace to fall upon that person. You know a warrior not from the way he looks, his big biceps, or his rolled up sleeves revealing a row of tattoos, or his shaven head or the fact that he wears his full gi (karate uniform) to parties! We know the warrior by his presence and the healing he automatically gives to everyone he meets. His energy, his 'Qi' is touching you, you don't feel anything physical, but rather the internal effect of this touching, and peace is with you. The warrior looks upon the earth in a different way than those who are not warriors, everything, from the smallest insect to the largest mammal, and the most insignificant rock or tree is important and has life, the grass he walks upon, he thanks for softening the rough path he walks upon, the trees, he thanks for giving him shade and oxygen. Everything has importance because it was put there by mother earth for some reason. Sure, he has to live in modern times, he must drive a motor car and go to the supermarket and mow his lawns, but always, he never loses sight of what he is, and more importantly, where he is. He knows that what he is, is not only what he has made himself to be, but also what is handed down to him and what is an accumulation right inside the very cells that he is made of, from his ancestors. Everything that they were, is now him, every bit of information that his fathers and mothers gathered is now inside of him, this is how we live on in our children, we literally, and I mean literally, pass on our knowledge, along with eons of knowledge accumulated since the beginning of time, to our children. Everything that we are at the conception of our children is passed on to them. We think that we have certain talents, but the warrior knows that all that he is, has come from the beginning of time, he knows that he is made up of the same stuff that a rock is made of, or a tree or a blade of grass, the difference is only physical. He knows that he owns nothing, and that all animals are free, his animals chose him to be with, he does not go to the pet shop to chose a new dog, he knows that the dog has chosen him to come to that pet shop to chose it. The warrior communicates with the earth, he talks to the dogs, to the cats and owls, to the snakes, not so much verbally, but simply by being. This is the one thing that everything on earth has in common, being. He knows that there are forces at work on this earth, forces that he must learn to go with and to live with, otherwise he will surely perish. The energy within the warrior has the power to join with these forces, and then he has the power to change. But this comes not without payment, for he also knows that we cannot receive without first having paid for it. The whole of the universe is based upon this giving and taking, it is called yin & yang. For every up there must be a down, for every happiness, there must be a sadness, for every full tummy, there must be an empty one. The warrior knows that he must lose in order to gain, and so he sacrifices. He sacrifices his food, he sacrifices his sexual longings, his every day comforts, in order that he has the power to change and to help others to change. Not in going out specifically to help others, but to have the internal power always there to automatically help others to be peaceful, and in doing so, they too will be able to see where they are, and who they are. We are not only someone's son or daughter, we are the sons and daughters of an infinite amount of people, those who have passed on to us their cells inside of which is hidden the very substance of creation and everything that has happened. Not 'since time began', because there is no beginning or ending. Being a martial artist is only one hundredth of what a warrior is, it is only a part of the whole, it is what gives us the confidence to become a healer, the internal energy to make changes. A warrior knows that we do not have teachers, but guides, the people we meet who are able to give us something internal, that something extra to cause us to become our own greatest teachers. Just by simply being, a guide helps us to realize that it is we, ourselves who teach us, because the warrior also knows that locked away inside of everything, is that primordial cell that contains all information. He learns to read this information which comes in the form of 'flashes' at first, and this is too much for his feeble human brain to handle, he shuts off as soon as the flash arrives. But soon he learns to read these flashes, and they become longer in duration than just a moment. This is when the warrior knows that he is reading time. He learns to communicate other than speaking, he knows that his physical needs are being looked after, and needs not worry about where the next mortgage payment will come from. The warrior finds his place on the earth and stays there, where the power is. It is not a physical searching, but rather the warrior is 'taken' to where he must be, and there he stays, and the whole world will pass by, he needs not to travel, because the universe is there within him, and those who will in turn need to seek him out, will do so when their time is right, in just the same way that he did when he had to travel the world searching for his own guides. They then will learn to teach themselves from within, and also then go and find their own place, and he may never see them again, but this does not worry the warrior, he is in contact. The warrior is not the master, he is not the sifu nor the sensei, these are just physical words that we put upon ourselves to make us seem important, or better than those who we guide. The warrior is a friend to his students, and so cannot be our master. He does not wish to gather students as they will search him out, and those who need to have a master or a sensei will not stay, they will keep searching until they realize that what they search is within them, and who they search, can only be their guide.